Jordan Flight Crew Men's, Gym Red, Size M, 16259779. 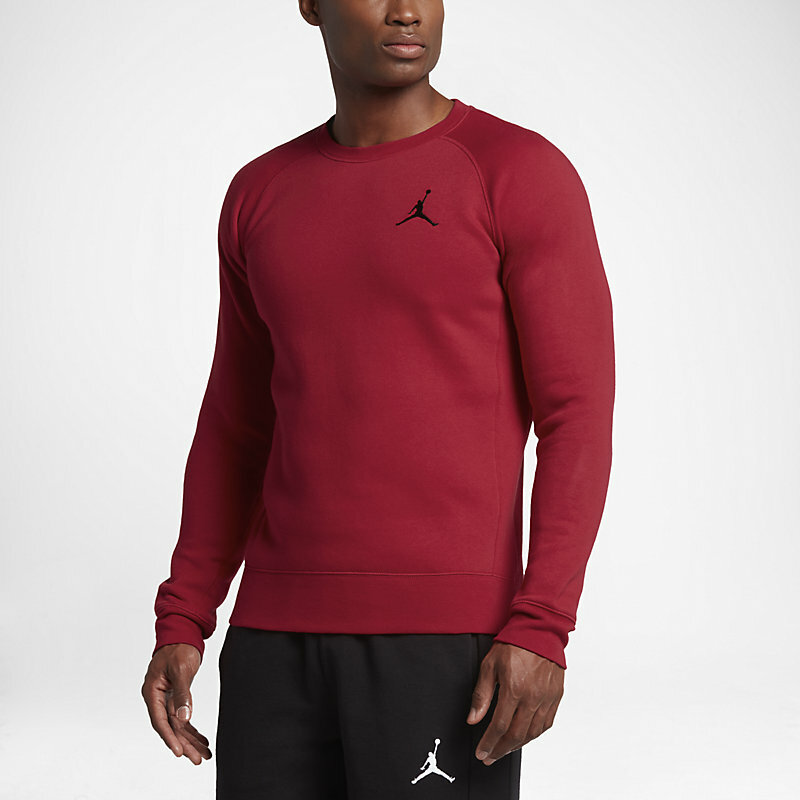 Warm coverage: The Jordan Flight Crew Men's Sweatshirt is made with lightweight French terry fabric for warmth., Benefits: Raglan sleeves for enhanced range of motion, Ribbed hem and cuffs for a snug, comfortable fit, Product details: Fabric:Body: 70% cotton 10% organic cotton 20% polyester. Rib: 88% cotton 10% organic cotton 2% elastane., Machine wash, Imported: .